Publicis set the cat among the pigeons on its home turf when it announced it was taking a break from Cannes and industry awards for 12 months - festival organizer Ascential must ensure its upcoming consultation doesn't give everyone the hump. 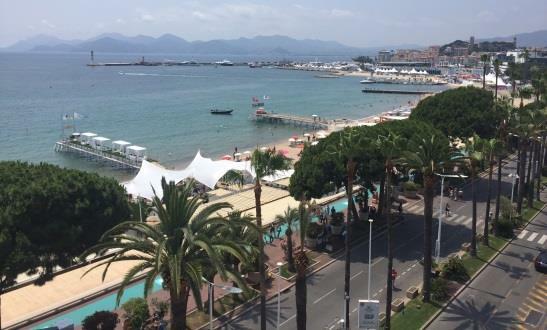 Days on La Croisette in Cannes could be numbered for the creative industries. That was some smack-down Publicis administered to Ascential last week, slap bang in the middle of the Cannes organizer’s highest-profile event of the year. The French holding company’s newly installed CEO Arthur Sadoun revealed Tuesday that Publicis would not participate in Cannes or any other industry awards shows for the next 12 months, rather it will concentrate on investing in its AI platform Marcel. It will return to the awards fray in September 2018. The announcement caused Ascential’s shares to drop 3.5%, just one day before it hosted shareholders in Cannes for an investor presentation, so if the timing was intended to produce maximum impact it certainly achieved its aim. On Saturday, the Cannes organizers announced they were setting up an advisory committee "to help shape the future of the festival," with numerous senior marketers led by Unilever’s Keith Weed and Procter & Gamble’s Marc Pritchard. Ascential said it wanted to "ensure it continues to respond to the needs of the industry." Publicis’ move was met with a mixture of agreement, bemusement, and opportunism by competitors such as WPP, Omnicom, and Interpublic Group. Speaking on Wednesday at a lunch hosted by the Financial Times, WPP’s CEO Martin Sorrell said: "Cannes has got to be rethought big time and repositioned. Some of it is diversionary, at best, unacceptable at worst." He said WPP had already halved its official attendance at the Festival of Creativity to 500 people, from 1,000 last year, though wandering around La Croisette, Le Palais, and les plages of Cannes it was difficult to believe there weren’t more WPP folks than that in situ. But when I interviewed Sorrell, he told me Cannes costs WPP "tens of millions of dollars" and it was that and the perceived price gouging that comes with having the Festival here in June that is the real driving force behind the holding companies’ pushback against Cannes and what it has come to stand for. He said alternative locations such as London, New York, Paris, or Berlin should be considered. He added it was increasingly hard to justify the perceived excesses of Cannes, which he dubbed "too much of a money-making machine," at this uncertain time geopolitically and economically when the world is in turmoil and agencies’ clients are on a concerted mission to cut costs. While you could never describe La Croisette as austere, there was definitely an attempt to curb the excesses of previous years. The Gutter Bar was much more subdued than normal, with barriers hemming in revelers on the pavement for much of the week rather than allowing them to spill onto the road. Yacht row had also been reigned in to crack down on inappropriate behavior. Cannes worked with local government on Le Cote d’Azur this year to put restrictions on yachts entering the harbor and only allow access to festival pass-holders during primetime hours. The Daily Mail was identified as a prime culprit for excessive behavior last year and didn’t bring a yacht this time. The organizers also brought in a stricter admissions policy for the five main hotels and bars on La Croisette, again restricting entry to official festival-goers or forcing people to register for a hotel access pass. Part of this can be put down to an understandable need to increase security, especially after the appalling terrorist attack in Nice two weeks after last year’s festival. Part of it was designed to crack down on the significant number of people who traditionally snuck through loopholes to attend Cannes without engaging with the official festival. Mooring private yachts in the harbor, cruising the Croisette without a pass, renting properties in the hills around the city to host dinners and events, and locating yourselves on idyllic islands adjacent to Cannes are all techniques that have been, and continue to be, used to tap into the magic of the festival without having to shell out for expensive delegate passes and official accommodation. While Sorrell and his fellow holding company CEOs agree Cannes has become too expensive, WPP won’t be following Publicis in pulling out of the Festival. He doesn’t believe a boycott is the best way to achieve change, though he told me via email "they [Ascential] want everybody to be part of their committee. It will end up being a ‘camel’ – the process will be cumbersome and unwieldy." But advertising and other creatives love getting recognition for their work and this is a prime motivational factor in attracting and retaining the best talent, which could come back to haunt Publicis. At the McCann party on Thursday evening CEO Harris Diamond was in usual bullish form as he rallied his troops after a successful festival that saw the agency responsible for State Street’s Fearless Girl campaign win more top awards than any other firm. Fearless Girl ended a triumphant week by taking the Titanium Lions Grand Prix, its fourth of the week after also winning in PR, Glass, and Outdoor. Reaffirming his commitment to creativity, Diamond quipped that McCann had already been inundated with résumés from Publicis creatives desperate to escape their new non-awards-entering environment. Sorrell also hammered home this point. The competition to win top creative honors here is certainly fierce. This year, WPP’s Ogilvy lost out to Omnicom’s BBDO for the top agency award by just four Lions, 144 to 140, but Sorrell was still happy to head up on stage and collect the Cannes holding company of the year award for the seventh year running. Winning these awards certainly matters to the creative industry types that gather in Cannes every June for their annual dose of sun, contemplation, and inspiration. But the increasing presence of consultancy firms such as Accenture Interactive, Deloitte, and McKinsey, social media behemoths Facebook and Google, and tech giants such as IBM and Oracle is just one other sign of a festival that is fundamentally changing. The big four holding companies number negotiating the best rates with media owners among their core skills – they are used to going toe to toe with the procurement departments of the world’s largest companies. Last week’s developments may just be the latest stage in one of these ongoing negotiations. But Ascential would be wise to pay full attention to the mood music coming from Sadoun, Sorrell, and his peers. If the committee consultation process does indeed turn out to be nothing more than a "camel," they will all get the hump. * Haymarket, the owner of PRWeek, runs Spikes, an ad festival in Asia, as a joint venture with Ascential.